One of the most modern tachometers on the market. The combination of analogue and digital display makes for a fashionable design. 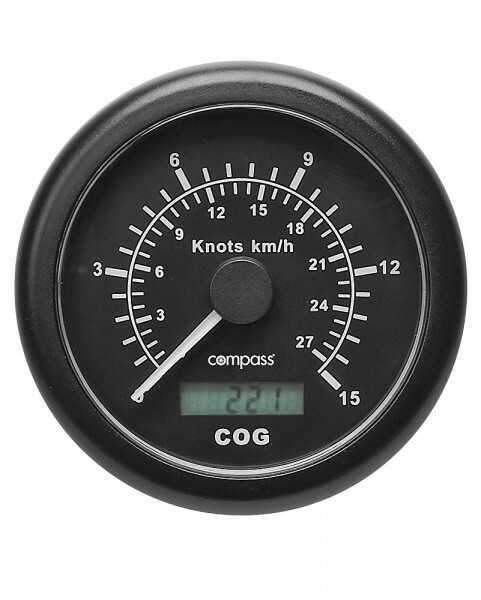 The GPS-controlled tachometer provides the current groundspeed (analogue) and course (digital). The super-fast, high-end GPS receiver uses 32 channels and delivers the best results, whatever the prevailing weather conditions. Simple 12 V Plug & Play connection. The instrument has a display diameter of 96 mm (outside) and an 85-mm hole. No connection to other onboard devices is necessary. Weiterführende Links zu "GPS Tachometer (analogue)"